Two 200 MVA transformers each weighing 195 tonnes together with the ancillary equipment were discharged at The Port of Mostyn on the 20th July 2015. The shipment was arranged by logistics company SDV who engaged Colletts Heavy Haulage to transport the transformers to the sub-station at St Asaph. Discharge of the transformers was carried out by Port’s own stevedores using a 1,200 lifting capacity Liebherr LG1750 crane provided by Baldwins Crane Hire. 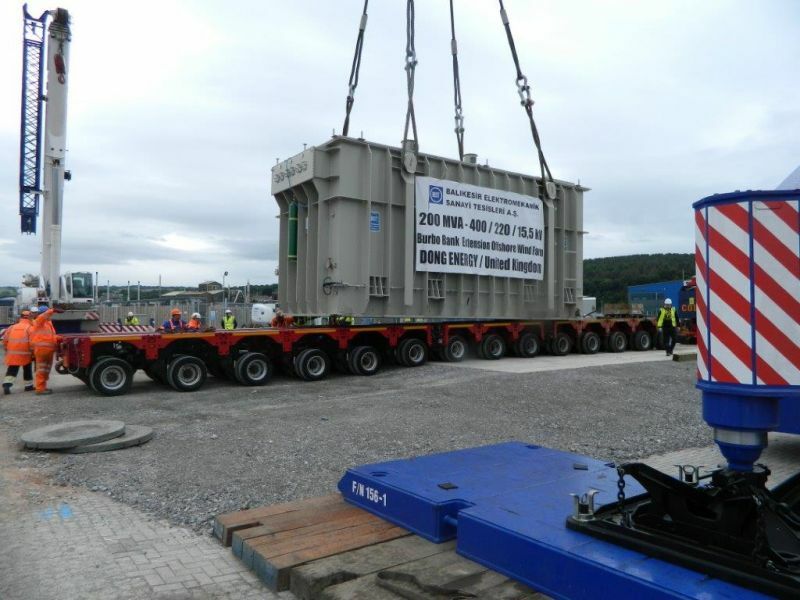 The selection of the Port of Mostyn for the discharge and delivery of these transformers further demonstrates the Port’s ability to handle heavy components for the renewable energy industry.